MUMBAI – MAHARASHTRA – INDIA JANUARY 12 , 2012 07.10 P. M.
But cine – goers of my generation will always remember her fondly . 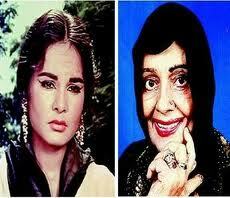 She did two super hit films like ; ” Professor ” and ” Teen Devian ” in 1962 and 1965 respectively . Born in Srinagar in a family of freedom fighters , Kalpana was a trained Kathak dancer . At the insistence of Balraj Sahani and Ismat Chughtai she moved to Bombay [ now Mumbai ] and made debut in ” Professor ” [ 1962 ] , a Shammi Kapoor starrer . 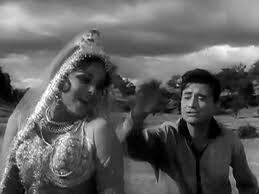 Later on she worked in another super hit film ” Teen Devian ” [ 1965 ] , a Dev Anand starrer . I remember Shammi Kapoor serenading her with super hit songs ; Ai Gul Badan ….. Ai Gul Badan and Khuli Palak Me Jhootha Ghussa , Band Palak Men Pyar ……… Jeena Bhi Mushkil ….. Who can forget these immortals songs ; Aawaz De Ke Hamen Tum Bulao ……… or Koi Aayega …. Aayega ….. Aayega …… and Main Chali Main Chali ……. 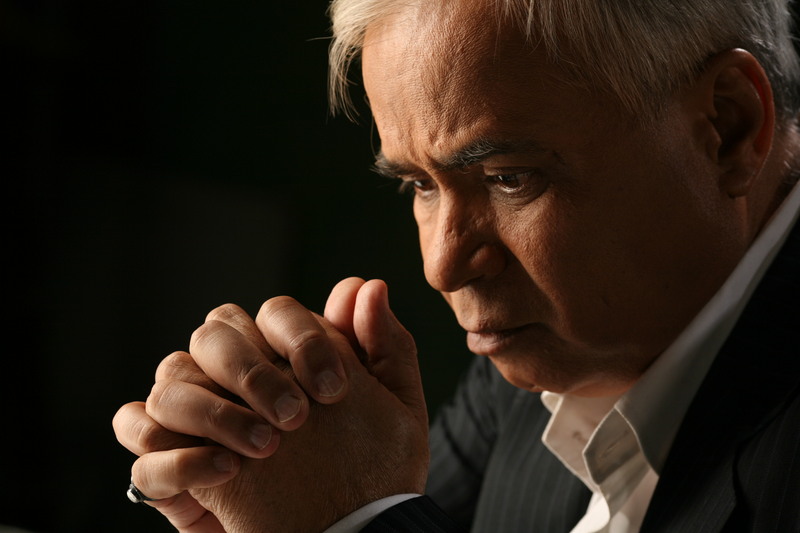 Peechhe Peechhe Jahan …… ? 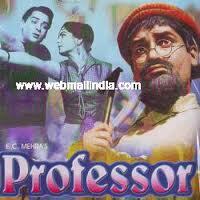 Shankar Jaikishan‘s super hit music and interesting story plot made this film ” Professor ” a rage in the 60s . Kalpana arrived with a bang . 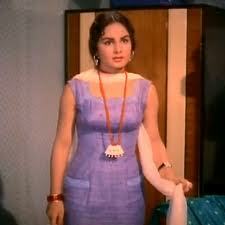 She then did ” Teen Devian ” in 1965 with Dev Anand . 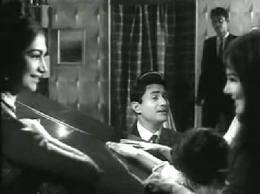 Sachin Dev Burman‘s melodious music added ethereal quality to Kalpana’s beauty . Can any Hindi movie buff forget Dev Anand entreating Kalpana with Kishore Kumar , Asha Bhosle duet , Are Yaar Meri Tum Bhi Ho Ghazab , Ghoonghat To Zara Odho …… ? I still remember another gem from the same movie , Khwab Ho Yaa Tum Koi Haqueeqat ….. Kaun Ho Tum Batlao ….. Mr. Dev Anand singing this song on piano and Kalpana and Simi sharing screen space with him . In ” Professor ” , she was in solo lead . In ” Teen Devian “ , she shared screen with much senior Nanda and another beauty Simi Gerewal . Still she got top billing . She just did only couple of films . ” Professor ” [ 1962 ] , ” Naughty Boy ” [ 1962 ] , ” Teen Devian ” [ 1965 ] , ” Saheli ” [ 1965 ] , ” Pyar Kiye Ja ” [ 1966 ] , ” Biwi Aur Makan ” [ 1966 ] , ” Tasveer ” [ 1966 ] and ” Nawab Sirajuddaula ” [ 1967 ] . She quit films after her marriage with story – screenplay writer Sachin Bhowmick . They both were as different as the chalk is from cheese . So marriage failed . She got married again in 1967 , got divorced again in 1972 and then moved to Pune , where she lived till her death . I was saddened when I saw a recent photo of Kalpana , which was published in Times of India . Age had dimmed her beauty . An aging and lonely Kalpana Mohan caught my fancy once again . I was not a huge fan of hers but I did like her in films like ; ” Professor ” , ” Teen Devian ” , ” Pyar Kiye Ja “ and ” Biwi Aur Makaan ” . In the conservative India of 1965 , ” Teen Devian “ got A Certificate from censors , so the film got famous and the craze was enormous . And I , like other youngsters of my age , was charmed by Kalpana and this film . I did not like her recent photo and I was pained but I am posting it for the record and for the posterity . This photograph of Kalpana is a sad reminder of the ephemeral world we are living in ; real and reel , both . In the last quarter of 2011 , your two illustrious co – stars ; Shammi Kapoor and Dev Anand left us . Now you too have gone ! Mortal people ; immortal memories ! I was watching some videos of shammi kapur, when I saw this beautiful lady, with killer eyes and cute looks, i searched for the movie PROFESSOR nd really njoyd it. It doesn’t seemed that it was her first film, she played an amazing nd heart throbbing role, looked glamorous which makes her comparable to other successful actresses of the past. 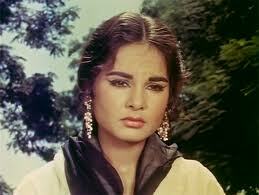 I luv the beauty she had, nd wants to pay my tribute to a superb actress who passed us. may her soul rest in peace! Yes I agree,she indeed was a beautiful lady who knew acting as well as dancing quite well……rest in peace kalpana.